A customer would like to get a quote on how much an order will cost specifically, but they aren't ready to order just yet. You can get here by navigating to Orders > Quotes. 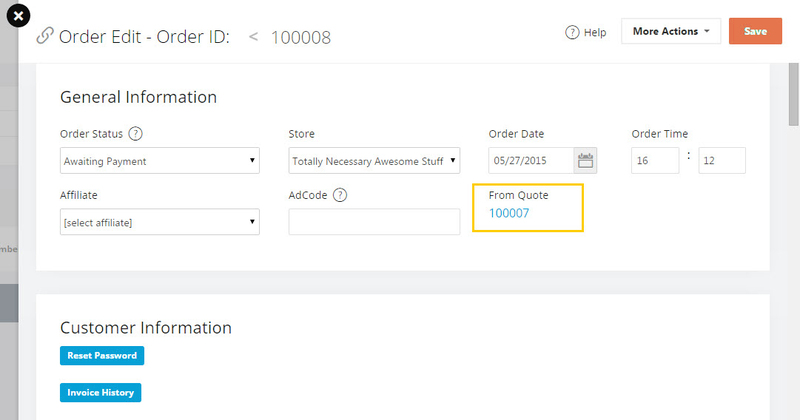 To convert a quote into an order, open the quote and under More Actions, select Convert To Order. 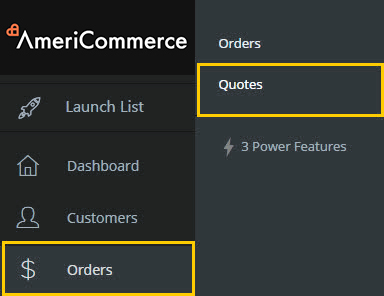 Note: The number of the quote and the order by default in the system will be separate. This is to keep each quote and order number from being combined and makes for easy organization. Once a quote has been generated or converted into an order you will now see it on the Quote once it has been saved and refreshed. You can control if the quote expires or is good indefinitely, and you can also control whether the customer can edit the quote. If the quote allows the customer to edit the cart, they will be sent to the shopping cart page and can add or remove items. In this case discounts, taxes, additional fees, and any amounts entered on the quote will be overridden. If the quote does not allow them to edit the cart, they will be sent directly to OnePageCheckout, and all the amounts entered on the quote will be used.